Some users may be experiencing issues with real time reporting. We are working on a fix and expect to have everything back to normal soon. 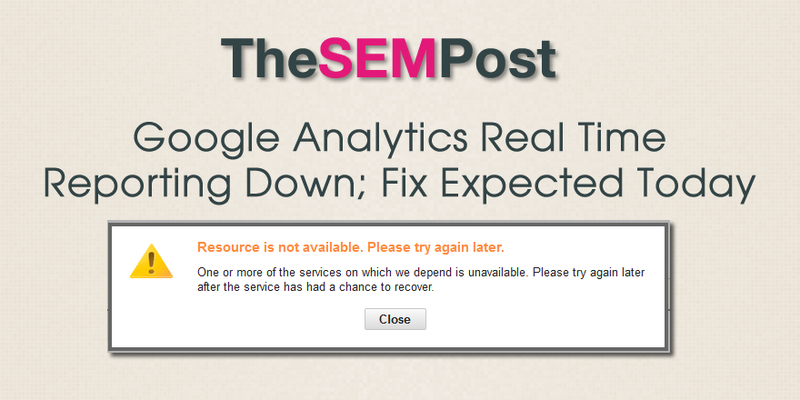 Google Analytics posted a followup tweet late last night saying they hope to have a fix pushed out later today. We are working on a permanent resolution to this issue, which is expected to go live tomorrow. Apologies for the inconvenience. Google Analytics posted a possible workaround – either using Incognito Mode or clearing cookies, however that fix isn’t working for everybody. Update: If you see errors accessing realtime reports in GA, a temporary workaround is to clear cookies or use an incognito browser window. Hopefully the fix will go out later today as planned.